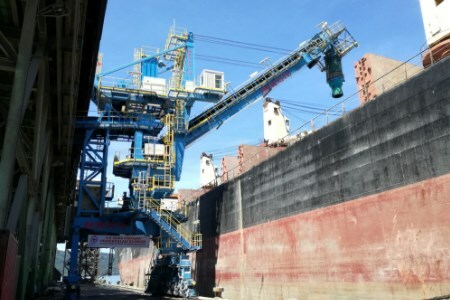 Bedeschi has been awarded a contract for the supply of a SHL 25/1400 operational at Demarga jetty in Gresik, Indonesia, for the handling of fertilizers (NPK, NPS) with a capacity of 1000 tph for ships up to 30 000 DWT. The order was signed with Barata Indonesia, an Indonesian engineering company that will manage the civil works concerning the manufacturing of the structural steelwork for the shiploader. The end user is PT Petrokimia Gresik, a company that has already chosen Bedeschi for the supply of a circular storage and a longitudinal storage with PAL PD, manufactured in the same site in the last five years.